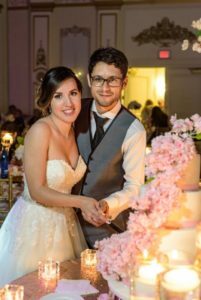 “We went into Just Temptations on a whim while looking for a place to get cupcakes for our engagement party. We walked out with our wedding cake all picked out! 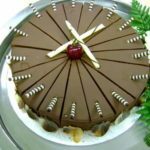 They have such a great selection of display cakes for you to take a look at and style your cake off of. 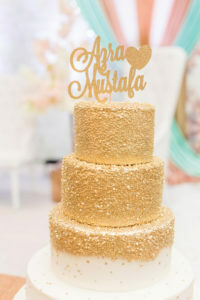 We selected one that we wanted the identical cake made for our wedding, and on the day of, it was exactly what we wanted! The sampling of the different flavours is always the best part, and they didn’t disappoint. I think that was our hardest decision that day, as all of the flavours were fantastic! We ended up with a 5 tier (bottom tier was fake), 3 flavour cake. It was so beautiful on display, and everyone raved about how delicious it was! 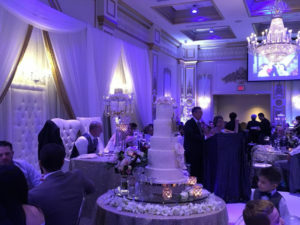 “We know of Just Temptations and Antonella (Vaughn location)through Zerlene our wedding planner. Zerlene have worked with them in the past and assured us that they are good with what they do and for a decent price that suit out budget well. Their cakes are delicious that it’s really hard to choose what to pick. 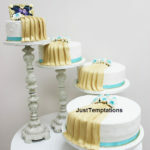 She gave us the option that we didn’t have to get just one flavor for our 5 tier cake and that we can mix it and in the end we went with my all-time favorite Tiramisu for 3 tiers and a Raspberry cheesecake (Hubby’s choice) for the remaining 2 tiers. Design wise she is very helpful and accommodating to what I want. 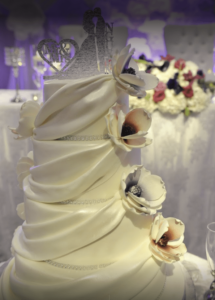 I am not the typical bride that wants bling and fondant in their cake but more rustic, nature but elegant cake. 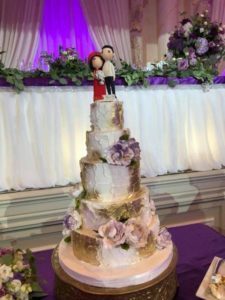 She is very flexible until the very end and help us through with the design to make sure it all ties together with the venue and linen setup and my customize cake topper (which I may say is very delicate but they really took care of it). 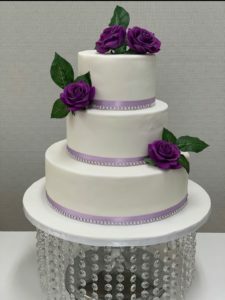 We live in the US so she is very cooperative with timing of payments and returns of cake stand setup and appointments and make sure if fits our schedule. 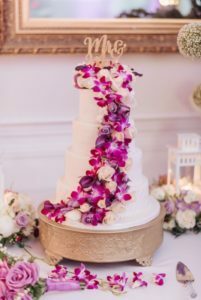 The one drawback from me was I asked for them to bring some boxes for the cake tiers so we can pack them nicely after the wedding but for some reason it was packed in foil. 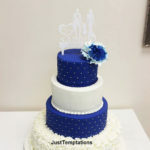 I am not sure if Just temptations didn’t brought boxes for it or if our wedding venue just didn’t use the boxes thereby smashing our cakes in foil. We never have gotten to the bottom of this especially because we can’t do anything about it anymore, our cake is smashed already. My fiancé and I went in with our MOH for the initial cake tasting, and we were pretty much sold right away. Antonella was fantastic and made our decision process easy! 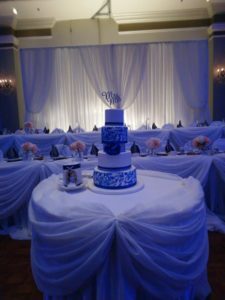 And not to mention the cake flavours were amazing we were lucky enough to get 4 tiers each with a different flavour, the Red Velvet was deffinately a HUGE hit ! 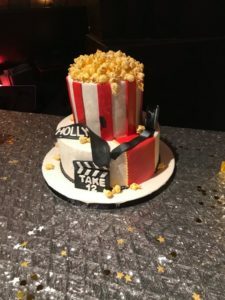 Thank you so much again for being a part of our day and making our cake vision come to life! Thank you for the beautiful cake. It was everything we hoped for and quite delicious. Thank you so much for helping to make our wedding day so special. Our cake looked absolutely beautiful. 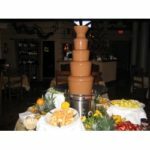 It was exactly as we pictured it and we have continued to received many compliments on it. It tasted fantastic! Thank you so much for your fantastic customer service andamp; delicious cake! 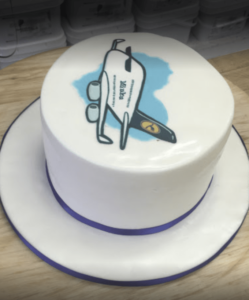 You designed the cake perfectly despite not having a photo to work from – I am truly impressed! 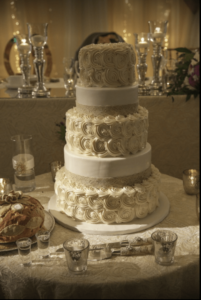 The cake was a perfect finishing touch to a perfect day – thank you again!. “Just wanted to write you a quick note of thanks! We got married on September 2nd 2006 and our wedding cake was just awesome!! 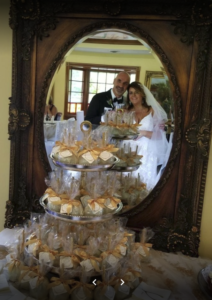 Your quality and great service made our special day even more special.”Thanks so much!! 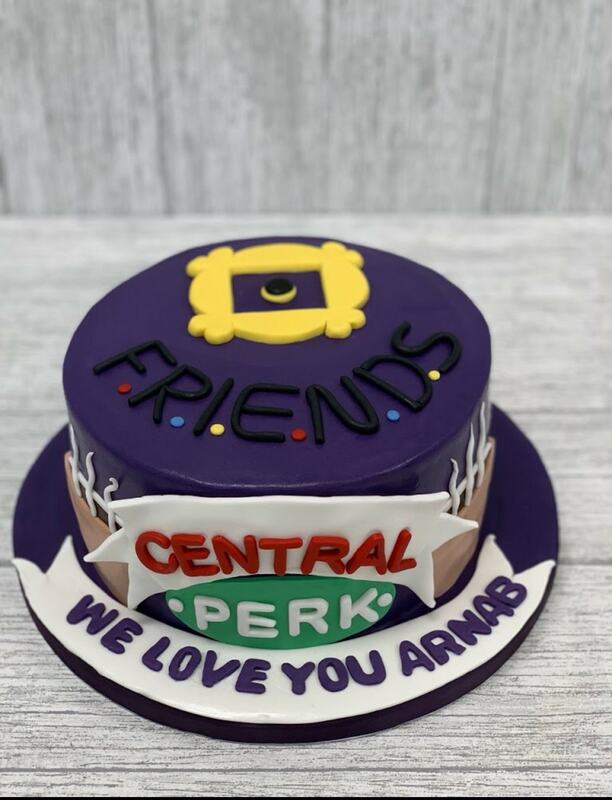 Thank you very much for the amazing cake. It was absolutely gorgeous (and delicious). We received many compliments and would definitly recommend your services to anyone!”Thanks! 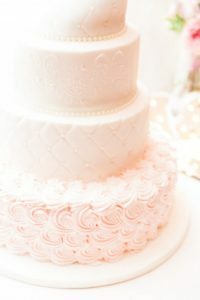 I was just going through my wedding pictures and found a beautiful picture that was taken of my cake that you created. This was a beautiful picture I thought you would like it. 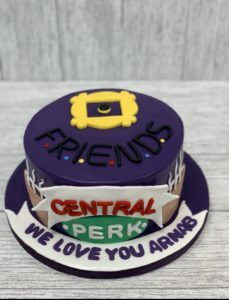 Thank you again for reproducing the picture I brought in to you, and making the cake even more beautiful than the picture. It is a simple cake, yet the most beautiful I have yet to see at a wedding.”Thanks again!